If you’re rocking a Mac that supports the macOS Sierra release which became available last month, and still haven’t installed the latest iteration of the operating system, this is for you. 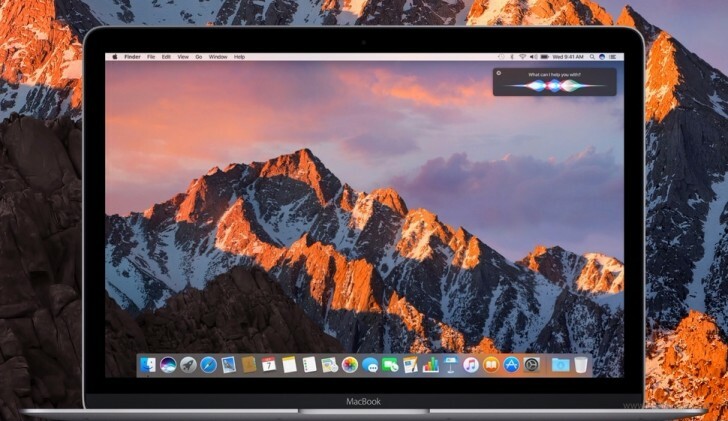 Starting today, Apple will automatically push the macOS Sierra download to supported Macs which aren’t up to date yet. Thankfully, the actual installation of the new OS will not be automatic, however. You’re still given a choice to do that when it’s most convenient for you. Clearly though, Apple’s taking a leaf from Microsoft’s book here, as that company has become notorious for pushing Windows 10 onto (unsuspecting) Windows 7 and Windows 8 users across the world. The Sierra download is pretty big, so if your Mac has automatically grabbed it and then it starts to run low on storage, the update file will be deleted. And if you have low storage to begin with, the automatic download will not initiate. It’s unclear what Apple’s definition of “low storage” is, though. There will also be an option to manually delete the download if you want, but Apple’s betting that’s going to be too much of a hassle for most, and many people will just accept the new version and install it. The auto-download of macOS Sierra will go live for Mac owners over the next week. It’s important to note that this will only happen for those who have automatic downloads enabled in the Mac App Store preferences. Needless to say, that setting can be turned off if this becomes annoying to you at any point.